Draft: 2012, Colorado Rockies, 1st rd. David Martin Dahl, son of Mike and Kelli … has a younger brother, Justin ... Married to Jacquelyn … they reside in Scottsdale, Ariz., in the offseason with their golden retriever Rookie ... Enjoys watching Netflix in his spare time ... He could dunk a basketball when he was in the eighth grade ... Attended Oak Mountain High in Birmingham, Ala. … committed to Auburn University prior to being drafted ... Won a gold medal in the Pan American Games as a member of Team USA when he was a senior in high school. Batted .273 (68-for-249) with 16 home runs and 48 RBI over 77 games with Colorado ... Recalled from Triple-A the first time on April 22 and slashed .275/.309/.484 in 32 games before being placed on the DL on June 1 with a broken right foot, suffered by a foul ball on May 30 vs. San Francisco ... Reinstated from the DL on July 27 and optioned to Triple-A … recalled for the last time on Aug. 5 ... Named the National League Player of the Week for Sept. 24-30 … batted .333 (10-for-30) with six home runs ... Hit home runs in five consecutive games Sept. 24-28, the fourth player in franchise history to record a home run in five or more games, joining Dante Bichette (Aug. 1-5, 1995), Larry Walker (June 18-23, 1999) and Nolan Arenado, who homered in a franchise record six-straight games Sept. 1-5, 2015 ... Hit the first grand slam of his Major League career on Sept. 10 vs. Arizona ... Batted .286 (22-for-77) with seven doubles, two home runs, nine RBI, one walk and 19 strikeouts in 19 games with Triple-A Albuquerque ... Made his postseason debut in a start in right field in the Wild Card Game, then started in left field during Game 1 of the NLDS … entered Game 2 as a defensive replacement and had one at-bat … went 0-for-11 in the postseason. Appeared in only 19 total Minor League games, missing most of the season with a stress reaction in his ribcage...Began the season on the 10-day disabled list after suffering a stress reaction in his rib cage in Spring Training … transferred to the 60-day disabled list on June 27 … reinstated from the disabled list on July 17 and optioned to Albuquerque...Played in two rehab games with High-A Lancaster July 12-13, where he batted .429 (3-for-7) with one home run and two RBI...Played in 17 games for the Isotopes, batting .243 (17-for-70) with two doubles, two triples, two home runs and 14 RBI … played in his last game of the season on July 31. Made his Major League debut in a start, July 25 at Baltimore, and recorded his first Major League hit in the seventh inning off Yovani Gallardo...Recorded a hit in each of his first 17 career games, tying the MLB record for longest hitting streak to begin a career, set by the Cincinnati Reds' Chuck Aleno in 1941...His .315 batting average (70-for-222) tied Todd Helton (1998) for the highest by a Rockies rookie (min. 200 at-bats)...Recorded at least one hit in 50 of 63 games overall, with 16 multi-hit games...Hit his first career home run in the sixth inning on July 27 off Baltimore' Dylan Bundy...Hit leadoff for the first time Aug. 19 and hit a home run in his first at-bat … was the first Rockies player other than Charlie Blackmon to hit a leadoff home run since Dexter Fowler on June 2, 2013 vs. Los Angeles-NL...Began the season with Double-A Hartford, where he was named a Midseason All-Star … batted .278 (80-for- 288) with 21 doubles, two triples, 13 home runs and 16 stolen bases...Was promoted to Triple-A Albuquerque July 4, where he batted .484 (30-for-62) with six doubles, two triples, five home runs and 16 RBI in 16 games prior to having his contract selected by the Rockies. Spent a majority of the season with Double-A New Britain ... suffered a lacerated spleen May 28 after an on-field collision and underwent surgery immediately thereafter...Played six rehab games with Short-Season Boise July 6-15, and batted .125 (3-for-24) with a double and an RBI...Returned to New Britain and hit .292 (31-for-106) with nine doubles, one triple, three home runs, eight RBI and eight stolen bases over the remainder of the season. Split the season between Low-A Asheville and High-A Modesto, hitting a combined .299 (153- for-512) across both levels...Named a Mid-Season and Post-Season All-Star in the South Atlantic League, a Baseball America Low Class A All-Star, as well as MiLB.com Organization All-Star. Finished in the top 10 in the South Atlantic League in both batting average (.309) and slugging percentage (.500)...Recorded double-digit home run and stolen base totals in a single season for the first time in his career...After the season, was ranked the 22nd overall prospect in baseball by Baseball America, and the top prospect in the Rockies organization. Appeared in 10 games for Low-A Asheville before missing the remainder of the season with a hamstring injury...Following the season, was ranked the Rockies' sixth-best prospect by Baseball America...Named the "Best Hitter for Average" in the Rockies system by Baseball America...Ranked as the number 71 overall prospect in baseball by MLB.com. In his first professional season, led the Pioneer League in batting average (106-for-280, .379), slugging percentage (.625) and OPS (1.048)...Ranked second in triples (10), tied for second in runs (62) and doubles (22) and tied for fourth in RBI (57)...Named the Pioneer League Player of the Year and a Pioneer League Post-Season All-Star … named to the Topps Short Season All-Star Team, and was named MiLB.com Organization All-Star...Named the second-best Rockies prospect by Baseball America. 18 de abril de 2019 Colorado Rockies activan a LF David Dahl de la 10-d&iacute;a lista de lesionados. 9 de abril de 2019 Colorado Rockies ponen a LF David Dahl on the 10-d&iacute;a lista de lesionados. 5 de agosto de 2018 Colorado Rockies llamado LF David Dahl de Albuquerque Isotopes. 27 de julio de 2018 Colorado Rockies opcionado RF David Dahl para Albuquerque Isotopes. 19 de julio de 2018 Colorado Rockies envian a RF David Dahl una asignaci&oacute;n de rehabilitaci&oacute;n a Albuquerque Isotopes. 1 de junio de 2018 Colorado Rockies ponen a RF David Dahl on the 10-d&iacute;a lista de deshabilitado. Right foot fracture. 22 de abril de 2018 Colorado Rockies llamado RF David Dahl de Albuquerque Isotopes. 17 de abril de 2018 Albuquerque Isotopes activan a LF David Dahl de la 7-d&iacute;a lista de deshabilitado. 10 de abril de 2018 Albuquerque Isotopes ponen a LF David Dahl on the 7-d&iacute;a lista de deshabilitado. 24 de marzo de 2018 Colorado Rockies opcionado LF David Dahl para Albuquerque Isotopes. 5 de octubre de 2017 David Dahl estado en la lista cambian a por Colorado Rockies. 4 de octubre de 2017 Colorado Rockies reasignado LF David Dahl a las ligas menores. 2 de octubre de 2017 Colorado Rockies llamado LF David Dahl de Albuquerque Isotopes. 3 de agosto de 2017 Albuquerque Isotopes ponen a LF David Dahl on the 7-d&iacute;a lista de deshabilitado retroactivo al August 1, 2017. 20 de julio de 2017 Colorado Rockies opcionado LF David Dahl para Albuquerque Isotopes. 14 de julio de 2017 Colorado Rockies envian a LF David Dahl una asignaci&oacute;n de rehabilitaci&oacute;n a Albuquerque Isotopes. 12 de julio de 2017 Colorado Rockies envian a LF David Dahl una asignaci&oacute;n de rehabilitaci&oacute;n a Lancaster JetHawks. 27 de junio de 2017 David Dahl estado en la lista cambian a por Colorado Rockies. 2 de abril de 2017 Colorado Rockies ponen a LF David Dahl on the 10-d&iacute;a lista de deshabilitado retroactivo al March 30, 2017. Stress reaction in rib. 25 de julio de 2016 Colorado Rockies seleccionado el contrato de LF David Dahl de Albuquerque Isotopes. 4 de julio de 2016 CF David Dahl asignado a Albuquerque Isotopes de Hartford Yard Goats. 11 de febrero de 2016 Colorado Rockies invitado fuera del roster CF David Dahl para spring training. 23 de septiembre de 2015 Hartford Yard Goats activan a CF David Dahl de la 7-d&iacute;a lista de deshabilitado. 16 de septiembre de 2015 OF David Dahl asignado a Salt River Rafters. 22 de agosto de 2015 New Britain Rock Cats ponen a CF David Dahl on the 7-d&iacute;a lista de deshabilitado retroactivo al August 20, 2015. 17 de julio de 2015 New Britain Rock Cats activan a CF David Dahl de la 7-d&iacute;a lista de deshabilitado. 4 de julio de 2015 New Britain Rock Cats envian a OF David Dahl una asignaci&oacute;n de rehabilitaci&oacute;n a Boise Hawks. 29 de mayo de 2015 New Britain Rock Cats ponen a CF David Dahl on the 7-d&iacute;a lista de deshabilitado. 8 de abril de 2015 CF David Dahl asignado a New Britain Rock Cats de Asheville Tourists. 29 de agosto de 2014 CF David Dahl asignado a Asheville Tourists de Modesto Nuts. 16 de agosto de 2014 Modesto Nuts activan a CF David Dahl de la lista temporalmente inactiva. 13 de agosto de 2014 Modesto Nuts ponen a CF David Dahl en la lista de inactivos temporalmente. 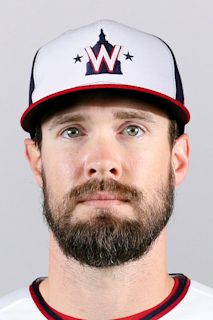 23 de julio de 2014 CF David Dahl asignado a Modesto Nuts de Asheville Tourists. 22 de marzo de 2014 OF David Dahl asignado a Colorado Rockies. 23 de septiembre de 2013 Asheville Tourists activan a CF David Dahl de la 7-d&iacute;a lista de deshabilitado. 30 de marzo de 2013 David Dahl asignado a Asheville Tourists de Grand Junction Rockies. 15 de junio de 2012 Colorado Rockies firmado OF David Dahl.